There’s been a little conflict going on in my head recently, which I would really love to share with you all and to get your opinion. 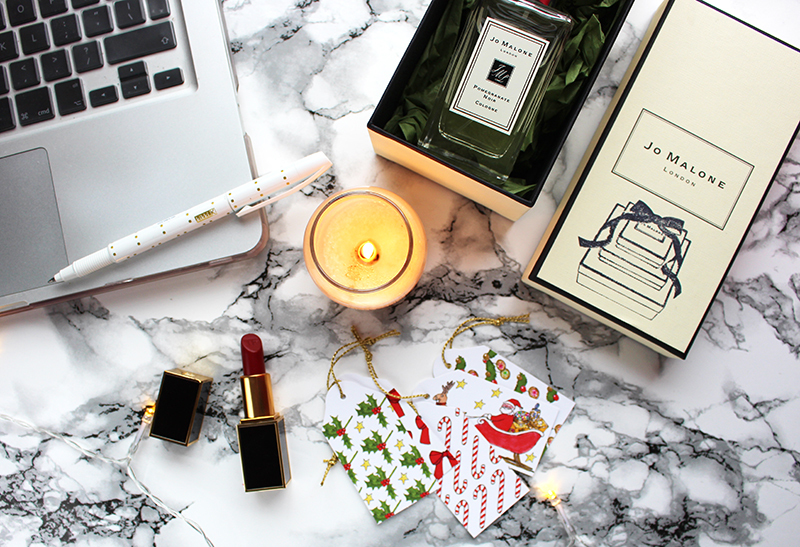 It’s about bloggers: how we shop and how we potentially feed into over-the-top consumerism. As a blogger I have to have (or at least feel I have to have) the latest things in store. Potential for regrams from the big brands are only possible if what you’re featuring is still in store, with a substantial amount of stock, which means I’m always after new items to feature. Haul videos are still as popular as ever, with some bloggers filming two haul videos every single week. But the thing is, this is part of our job, we’re often sent stuff, lent stuff and the items that don’t get worn (but are briefly featured in a haul video) are often sent back. And if I’m totally honest I have draped a jacket over my shoulder for a Instagram photo before returning it- not because I didn’t love the jacket, but because I have a few other ones almost identical, which I wouldn’t photograph as it’s from last season and therefore out of stock. I find that I give so much away to friends/charity at the moment because, if it’s no longer in stock I probably therefore won’t be able to use it again for social content. I recently spoke about this to a friend, who asked, if we’re not spending our own money on each item or potentially returning some items then isn’t it misleading? I personally don’t think so. I’d love to keep everything I feature because I do honestly love everything I show on here and on social, but it isn’t possible due to cost/space/ not having enough opportunities to wear the items. I think as bloggers we want to show you what’s in store, how it looks on and how you can style it, but it definitely isn’t an amount of shopping a regular non-blogger should be doing. Use Instagram and Haul Videos as inspiration but not inspiration as to how much you should actually be buying. Bloggers are gifted items, lent items and even those endless designer bags some bloggers have are bought with vouchers and hefty 60% discounts. I really worry that some people try to keep up with a bloggers buying habits which are usually excessive. Even I myself have felt the pressure to buy myself a designer handbag like very other blogger, even though I know I don’t really want one. Just like a magazine picks the 10 must have shoes of the season we do the same. Except we may have bought a few, been lent a few and be returning the ones we’re not actually going to wear; however it appears that the blogger has bought it all, and maybe you should do the same. It’s unrealistic and wasteful. You can’t do it in real life. If I wasn’t a blogger, posting a few new outfits every week on Instagram I’d buy 1/5 of what I do now- if not less. I’d swap with my friends, borrow off my friends and invest in more long term fashion. I guess with this also comes the cool places bloggers get to eat/visit and the endless holidays some bloggers get to go on, use them as inspiration but its unlikely that a ‘regular person’ with an average income could realistically go on six 5-star exotic holidays a year and I think it’s important to remember that. I also want to point out that I’m not bringing up the free holidays and free clothes in order to brag, bloggers are often portrayed as entitled and braggy, but brands see an increase in sales and work with bloggers similarly to how they work with traditional press. It’s not the norm to have a biker coat in 6 colours, two of which are almost identical, but one is in stock now and one isn’t. What I’m saying is that next time you’re scrolling through Instagram adding 56 new items to your mental Wishlist, just know that blogger’s shopping habits should not be a benchmark of the norm- it’s the excess and it’s our job; we take 10 outfits on our 3 day city break not because everyone should, but in the attempt that some people will like one of the ten and buy something in the photo. Of course, you do you. If you want to buy half of ASOS/Topshop/Net-a-Porter on a weekly basis that’s your choice but I think it’s important to keep it real and remind you you don’t have to buy everything you see on Instagram. Would love to hear your thoughts in the comments! Was a little bit of a scary post to publish if I’m honest! About an hour ago I called my boyfriend to admit I have really been struggling with blogging recently. I felt a bit like I was calling Alcoholic Anonymous, finally admitting something I’ve been refusing to admit but apparently that’s the first step to recovery, right? I’ve been struggling with it all, I rarely post on Instagram, my blog, YouTube and everything else. The only thing I have been posting on is Snapchat (username: alittleobsessed) as it’s a quick and easy way to procrastinate and it doesn’t involve too much effort. I really feel like I have been failing and I hate this feeling. I’m very much of the belief that if you aren’t moving forward you’re moving backwards and with the lack of content I really do feel like I am moving backwards. I’ve been blogging a long time, probably 7 years, all my adult life- actually even most of my teenage years and I love it but I am currently just not inspired. I told myself that once I was back from Berlin I’d be inspired again but that didn’t happen. I told myself the same thing when I went to Amsterdam but still no such luck. I’ve given my self a few days off, told myself I would start Monday or the 1st of March but here we are and I am still really struggling. I think part of the reason is that I am suffering a little with winter blues, I’m waiting patiently for it to warm up and it seems to be getting colder. I also feel a little overwhelmed with all the emails I have to answer (totally my fault) and products I have to try. Sounds like such a pathetic excuse, I have too much makeup, but it can very much take over my whole house and life- although I am tackling this on Friday with a little help from my friend. Luckily my friends have been offering me a little support and my boyfriend said the same thing happened to him when he played football everyday for two years but that the blues faded and he still loves playing. I do think there is light at the end of the tunnel but I thought I would update you and hopefully offer a little bit of support to anyone else that is feeling this way. I’ll be back soon, I promise but I don’t want to blog for the sake of blogging and I am waiting to get my love back. I have some ideas for exciting posts but I feel like I haven’t been able to think them out properly. Hope you all understand and will be here when I come back, I don’t think it’ll be too long, maybe a week or so. Until then I would love to hear any tips you have to get me feeling inspired and ready to blog. PS. Happy International Women’s Day- probably not the best day for me to be writing this post but it is what it is…. Happy new year everyone! I really hope you had a great night yesterday and that 2016 is your best year yet! I also wanted to say a huge thanks for all the support in 2015 (love you all!) and look forward to creating more content throughout 2016. I don’t really have any ground breaking resolutions this year; yes, I would like to lose a few kgs but other than that there isn’t too much. My key goals for the year is to work harder and travel more. I want to produce more content for my YouTube, blog and social media that I truly love, towards the end of the year I started to fall out of love with ALO but really want to work through it and fall back in love. Along with that I also want to travel, I must admit that I don’t really have the travel bug but I’m going to make an effort to see a little more of the world (actually just Europe). I have actually looked Amsterdam, Berlin and Rome all for this year, I’ll also you bringing you along. Would love to know what you would like to see more of on ALO this year in the comments.